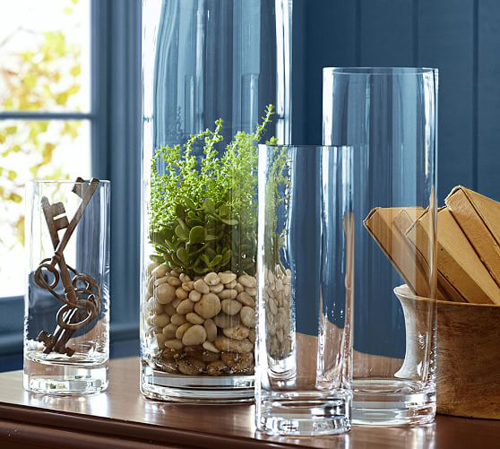 THE MESS: Filmy buildup and water lines on vases. Give it a soak. If it is stained or ringed by hard-water deposits, fill it with equal parts white vinegar and warm water, then add some mild detergent and mix. Let it stand overnight, then remove the sediment with a bottle brush. Phoenix has incredibly hard water! Try eggshells. If a bit of stain remains, fill the vase with the same vinegar/water/detergent solution and add a few crushed eggshells to the mix. Cover the opening of the vase and shake until the remaining sediment lossens. Do that right away; don't let the solution stand overnight. The eggshells act as a scouring agent. 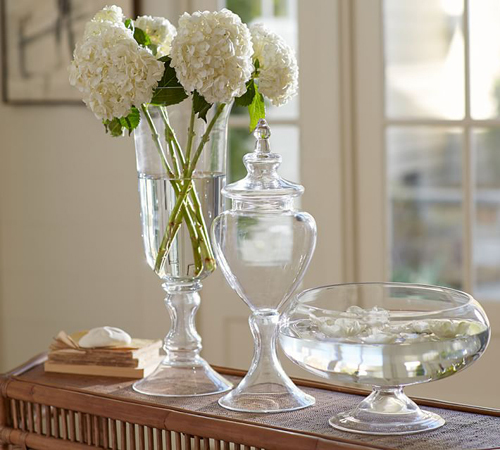 If the neck of the vase is very narrow, eggshells might not fit, but try dry rice grains. They may just do the trick. Drop in a denture tablet. Fill the vase with warm water and plop in the tablet. Follow the instructions on the package or let the vase stand overnight. As the tablet dissolves, it will remove residue. Empty the water and rinse. Keep them looking fresh and lovely by applying these easy tips.